I know that so many of you will be thinking, but why don’t I just buy a Christmas box? Well if you don’t have much time then of course by all means do just that. But let me first explain to you why I think you should give this little craft project a chance. Having browsed the internet for other kinds of Christmas Boxes I was astounded to find that they can range between £5.99 to £15.00 for just an empty one! And if you wanted gifts inside it too? Well you’re looking at around £25.00 and upwards for boxes with items already packed. It sounds like a lot to me and honestly it is, when you add in a delivery charge too. I think that companies like these are great if you don’t have any time or creativity, and the money to spend, but this craft project is so easy to do, why not try and make just the one box with me? Each Box has Cost me Around £1.50 to make! Yes just £1.50! You get the idea. You will also need some bits to decorate after and (if you’re gifting this box) a Christmas Tag. These are the things that make up the rest of those £1.50 worth of spent pennies! I have now made 6 boxes for my family, using half of two rolls of paper, one roll of sellotape and 6 gift tags… So you get how cheap it is right? Now you need time! 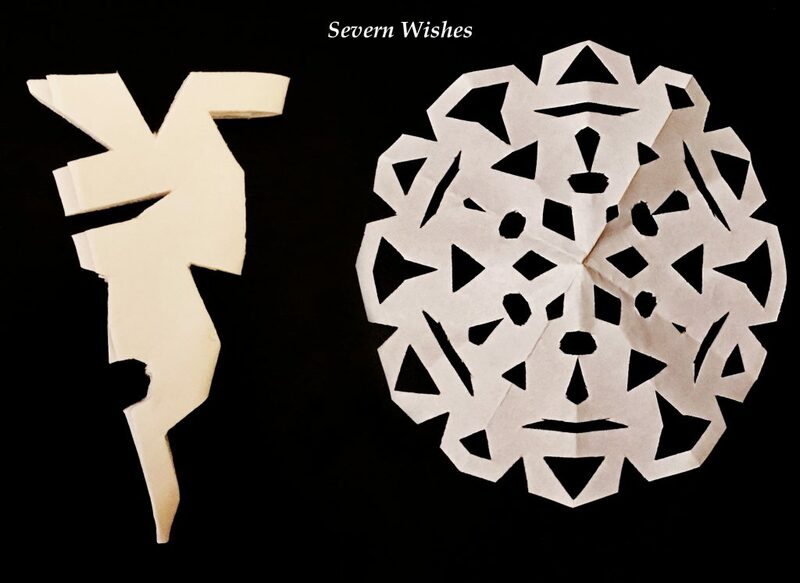 Is this an easy craft project? Yes it is, providing you have around an hour to two hours spare and all of the items mentioned. Children would need adult help and supervision with the cutting but they could do the sticking into place with some guidance. 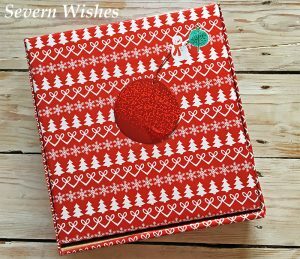 It’s more fun for them to decorate their boxes, add in some paper to the mix and they could do festive drawings that you could then cut out and stick on top of the box even! What tips can I give? Take your time, cut correctly and carefully with the scissors. 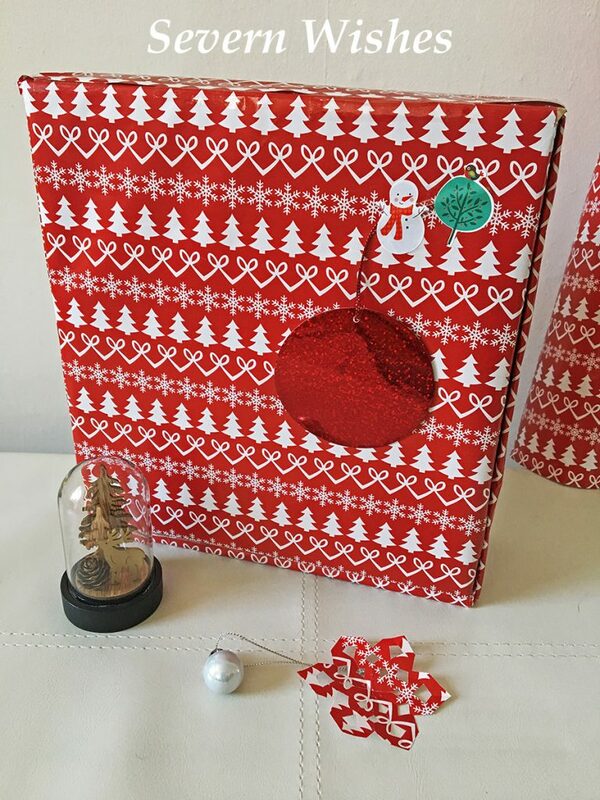 Remember you can do any sized box, so it could be really large to house a massive present, or you could make a jewellery box size one instead of using a gift bag. Write down a list of what you would use the boxes for and also what sizes you may need. Gather everything you will require to do this before you start, and make sure it’s somewhere flat surfaced and comfortable – we don’t want any bad backs! Here is a photograph of some of my finished boxes, you could make one even better using your imagination. I think the best thing for you all to do is watch my video first, and then come back to the blog to go through the step by step. It’s easier than you think, plus then you can have the time to gather what you need (if anything) and work along with the post. Step 1. Lay out your paper on a flat surface white side up, using a piece of scrap paper and a pen, take the box measurements. Step 2. 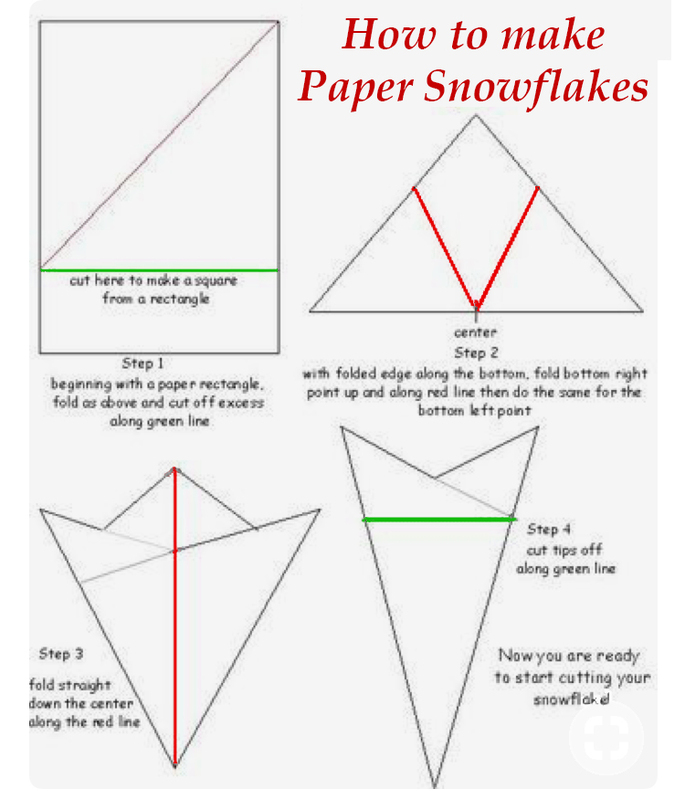 With a Ruler and Pencil mark down on the paper (with the white side up) what pieces you need to cut. (If you have a no hinge box you could draw around its lid and base and then just measure the sides). Step 3. Carefully cut out all the paper parts and label the white side in pencil which part will stick to which part of the box. Step 4. Begin to stick your pieces in place, remember the parts that need some over hang are the parts you stick on first (sides and top in my video). Step 5. Once you have all the paper pieces in place, trimmed any over hanging parts and neatly taped it all on the box, you will be ready to decorate. Step 6. Decorate depending on the theme you have chosen for your box. Step 7. Fill your box accordingly… Enjoy! Game/s to play in a Group/s – Mini Jenga is great! Dominoes or Card Games! Christmas Baked Goods from Christmas Eve if you made some! A Christmas Book to read together – I loved the Snowman growing up! 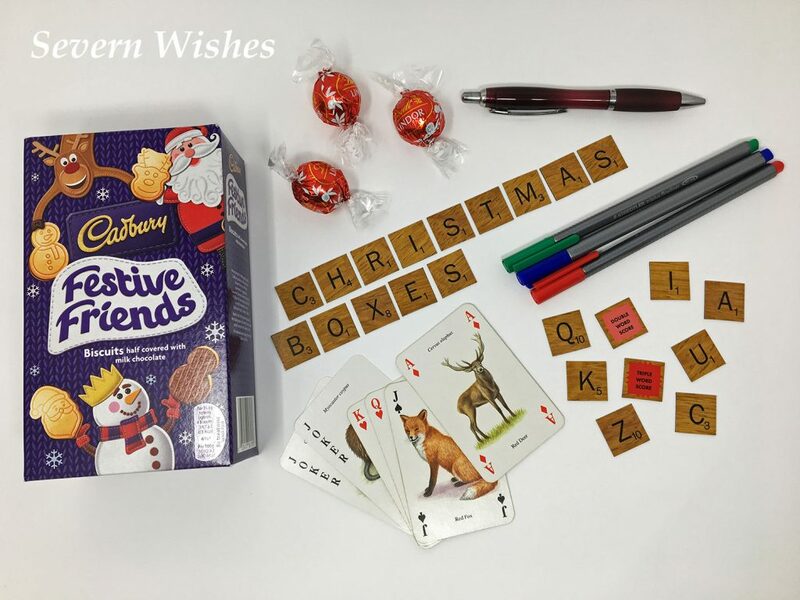 A Game to play together – Junior Scrabble but you can only use Christmas words! A Festive Film to watch before bed – there are so many now! Here is one of my finished boxes… You can make the box any size you like! Perhaps you want one to hold a small present, perhaps to put some jewellery inside? 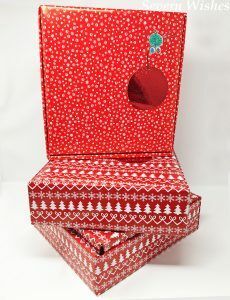 You can use these boxes in so many ways, and you can make them whatever sizes you choose or need for your Christmas. I know I keep explaining it but the possibilities are endless and I would personally have a little think as a family and jot some ideas down. It would make a lovely project to complete once school has finished too! Here is one set of my Christmas Eve Box ideas, a pack of playing cards that have animals on them to teach your children while you play. Junior Scrabble is another great game for children! You could play but they are only allowed to put down Christmas related words! Cadbury Festive Friends are tasty chocolate biscuits shaped for the festive season that children can share. And the adults have to have something… Lindor Chocolates perhaps?! Festive Pens for some colouring thrown in there too… The box possibilities are as much as you can imagine! Use flour or fake snow on the kitchen floor to make Reindeer and Santa footprints like they came in at the back door OR if you actually have a chimney then do it there, and don’t forget to take bites out of all the food before the kids see it! They will be amazed! I have a ton more blog posts to bring you this month, many are Christmas related, Gift related or Craft Related! I hope that you’ll come back to Severn Wishes soon for the next latest installments. If you enjoyed anything in particular on this post and plan to use any of my ideas practically this Christmas then leave me a comment with what you loved, it would make my day if I helped you out. I really hope that you’ve enjoyed this special blog post today, and perhaps I’ve given you some inspiration for making something too! Please let me know in the comments either on here or on my channel if you do decide to make a Christmas box. You can tag me in images on social media too I would love to see them! Happy Crafting! 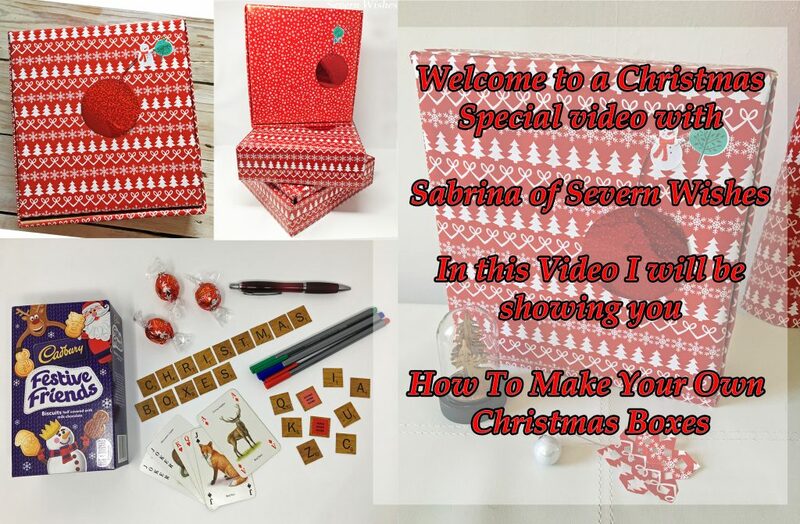 This entry was posted in Art and Craft, Christmas, Gifts, Hobbies, Reveals, Sabrina's How To, Sabrina's Top Tips by Sabrina. Bookmark the permalink.